Wayne State University Press, 9780814344989, 80pp. Layering one upon another, the poems blur boundaries and create a volatile state out of which the remarkable and unexpected occur. Embracing chaos, change, and unpredictability, these poems are energetically charged and infused with succinct, imagistic language. They reach beyond the constraints assigned to the female form and examine a place where time, the body, sexuality, and the natural world are not fixed. At times surreal, at others painfully real, the poems in Premonitions are the expression of a human life that merges and melds with the world around it, acting and reacting, loving and despairing, disintegrating and rebuilding. The speaker travels fluidly between strata of the natural world and her own body. 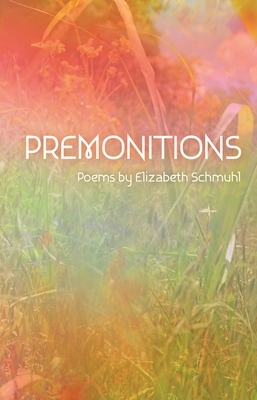 Adding to the complexity of her poems, Schmuhl creates additional layers of meaning as the poems and their titles relate to the author's synesthesia, a sensory phenomenon through which letters and numbers are experienced as colors and emotions. Elizabeth Schmuhl is a multidisciplinary artist whose work appears in Michigan Quarterly Review, The Rumpus, Paper Darts, PANK, Hobart, Pinwheel, and elsewhere. She has worked at various nonprofits, including the John F. Kennedy Center for Performing Arts, and currently works at the University of Michigan, Ann Arbor.